The Register UK reports this week, Vote- Flipping in the US Election is the term used to describe the most recent case of malfunctioning Electronic voting machines. Democracy Now also reported of machine malfunctions and voter intimidation tactics. In my blog entry from Oct, 7, I mentioned concerns about the case in Ohio, where thousands of registration forms from absentee voters were almost thrown out. Now, closer to the election, there are even more serious concerns about electronic voting machines switching your vote to the opposite candidate after you punched it in. This was shown in early- balloting cases in various states using iVotronic voting machines. ES&S, the makers of the machines, have blamed researchers for the malfunction, saying they maliciously removed security protections on the machines. Even if the removal of security protections is to blame, shouldn't it also be a major cause of concern that security seals can be removed!!!! With the fears running high and the vote rapidly approaching, some citizens are planning to stand outside poll stations ready to speak with any voters reporting legitimate concerns about voter fraud and will be posting the videos on You Tube. 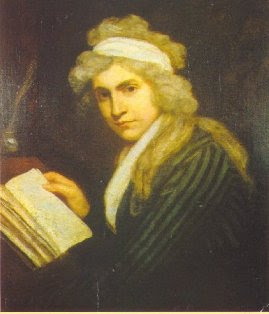 Thus wrote Mary Wollstonecraft (1759-1797) in 1792—expressing a radically critical outlook that could hardly seem more appropriate to study this month. She merits inclusion in school social studies curricula, for which purpose I strongly recommend Miriam Brody’s beautifully illustrated, well researched, and engaging Mary Wollstonecraft: Mother of Women’s Rights, published by Oxford with a washable cover! 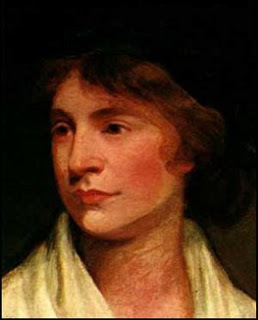 Emma Goldman once observed that even if Wollstonecraft had never written a line, “her life would have furnished food for thought.” Janet Todd’s massive, thorough, and candid Mary Wollstonecraft: A Revolutionary Life and Lyndall Gordon’s more recent Vindication: A Life of Mary Wollstonecraft both make clear that Goldman was right, as do her letters collected by Todd. A survivor of child abuse in an unstable alcoholic home with six siblings, she resolved early to live as an independent woman, educated herself with help from generous neighbors, and tried the few means other than prostitution by which women might work for their living in Georgian England. Her husband, philosopher William Godwin, has written a rich Memoir of their remarkably egalitarian friendship, from which men and women may learn much even today. Their daughter Mary Shelley, orphaned just a few days after her birth, educated herself by reading her mother’s works, whose influence upon her own mythic educational novel Frankenstein is unmistakably strong. Classes have begun in a school where teachers are allowed to carry guns. As some may have read about a few months ago, a small Texas School District has allowed teachers to carry concealed weapons beginning this school year (Reuters reported on this in August of this year). The Texas School District justified their actions by saying that they were keeping the school safe and further that this was all "common sense," and parents didn't question them. I'd like to think that for most Americans this isn't common sense. After my initial shock and horror upon hearing about this, a lot of questions came up. What have our schools become if this is allowed? What have we made of the teaching profession? And dare I ask, are teacher education programs in Texas going to start a course in weapon training? While for now this is an isolated issue, it has made international headlines, and all over the world there have been instances of school violence from disgruntled students. If we look to Hegel, Herbart, Dewey and others, we can envision the school as in some way a place for expanding the learner's horizon of thought and experience beyond the immediate realm of their private sphere. Perhaps one might argue that a certain amount of safety is needed to enact this vision. But what kind of agreement are we asking students to enter into when they have to come to school all the while knowing that the authority figures may have guns? The threat to stop whispering to your friend in the back of the class, or not to criticize your teacher's beliefs becomes that much more serious when the teacher says, "stop acting up (and by the way I have a gun!)". The Republic of Turkey was proclaimed on October 29, 1923. 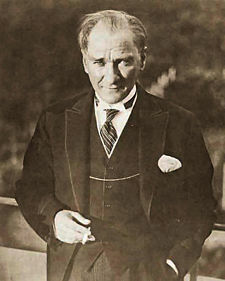 As its first President, Mustafa Kemal Atatürk sought to establish the modern Turkey as a "vital, free, independent, and lay republic in full membership of the circle of civilized states." He recognized the need for "public culture," which would enable citizens to participate fully in public life, and saw the unification and modernization of education as the key. Accordingly, one of his first acts was to invite John Dewey, who arrived in Turkey just nine months after the proclamation. In this endeavor, the ideas of Atatürk and Dewey were consonant. Dewey's words above ("vital, free, ...") could have been written by Atatürk, just as Dewey might have talked about "public culture." Both recognized the need to institute compulsory primary education for both girls and boys, to promote literacy, to establish libraries and translate foreign literature into Turkish, and to connect formal schooling, the workplace, and government. Today is John Dewey's 149th birthday. Back in 1924, he was nearing the age of 65, when many people think of retiring. But his three-month-long study in Turkey was an ambitious project. He addressed issues of the overall educational program, the organization of the Ministry of Public Instruction, the training and treatment of teachers, the school system itself, health and hygeine, and school discipline. Within those broad topics, he studied and wrote about orphanages, libraries, museums, playgrounds, finances and land grants for education, and what we might call service learning or public engagement today. Many of Dewey's ideas were implemented and can be seen in Turkey today, as we come upon its 85th birthday next week. What's even more striking to me is how relevant they are to the US today. Many of our problems can be traced to the "separation of school studies from the actual life of children and the conditions and opportunities of the environment," but also to the separation of work from learning, of health from community, of libraries from literacy development, or of universities from the public. Dewey would be the first to argue that we need to re-create solutions in new contexts, but his report from long ago and far away still provides insights for a way forward today. Dewey, John (1983). Report on Turkey. In Jo Ann Boydston (ed. ), The Middle Works: Essays on Politics and Society, 1923-1924. Vol. 15 of Collected Works. Carbondale: Southern Illinois Press. If Rip Van Winkle had been a physician, a farmer, or an engineer, he would be unemployable if he awoke today. If he had been a good elementary school teacher in the 19th century, he would probably be a good elementary school teacher today. Although this quote was only a minor element of the talk, I found it startling. I'm not at all convinced that Slavin is correct. In the 19th century, a number of practices that we would currently find to be unacceptable were viewed as elements of good teaching. When I teach my classes, I use a variety of examples to illuminate this point for the students. One of my favorite examples comes from Country School-Houses, an 1866 book on school design by James Johonnot. 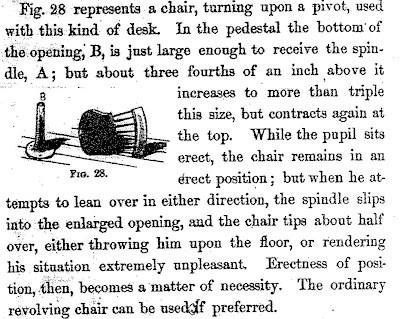 In addition to offering some interesting discourses about the importance of outhouses and some intriguing designs for octagonal schoolhouses, Johonnot tells us of a new seating system, the "J. Homer French Method of Seating." I would ask you to read the text accompanying the graphic carefully. Needless to say, in the J. Homer French system, non-compliant posture had serious consequences! Mowry's lesson featured a list of 200 questions on the four lines quoted above. One can only imagine how stultifying this exercise must have been for the students. And this was a practice that Mowry viewed as normative! It would be possible to cite several other examples of this kind (Other wonderful texts include the 19th century spelling book, The Only Sure Guide to the English Tongue, as well as Warren Burton's account of life in a rural school, The District School as it Was). However, the point here is that Slavin is asking us to believe a proposition that is false, namely, that there has been very little educational progress between the 19th century and today. In fact, a great deal of credit is owed to progressive educators like Dewey who helped to transform elementary education from a system that emphasized rote learning to one that is both more effective and far more pleasant for students. What is the potential for election fraud in the coming election? While everyone is so busy worrying about who will become President (as they should be) it is increasingly more difficult to worry about how the elections will be run. Although the US is not yet in the situation of some countries where citizens vote in a pseudo-election with only one candidate on the ballot, I often wonder how far off we really are from that. If our democracy is based on the right to vote shouldn't we be concerned about whether or not the votes are being cast? Are electronic voting machines secure and accurate? Will paper ballots be misleading? Will ballot boxes be stuffed or will voting cards be discarded? Recent election history in particular the last 2 presidential elections has proven that this is a real concern. While the republican side is worried about fraud by single voters (e.g. voters not really being legally eligible to vote), the more serious concern is regarding large-scale intentional election fraud which involves systematically manipulating the votes after they have been cast. "Elections in this century will be digitally, not physically stolen, unless and until our election procedures and laws effectively and quickly address this reality. And they certainly won't be stolen by the few people who mistakenly or foolishly try to cast a ballot when they can't legally do so. Without precautions in place against computer election fraud, a inevitable 'Titanic' shipwreck of democracy may occur without the public even being aware." Last week on the Brenner Center for Justice website, a center that has tracked election fraud, a fellow blogger warned that the Election fraud games seem to already have begun: Thousands of absentee ballot request cards were going to be thrown out by the Ohio Secretary of State, due to them being deemed "invalid" because although the person registering signed the card, they did not check a misleading check box saying they were a legal voter. Strangely enough the registration cards were developed by the McCain team. Fortunately the Ohio Supreme court ruled to allow the absentee requests! How many more of these cases are still to come? Is there action we can take now to prevent fraud in November? The New York Times reports that high profile, influential medical leaders have hidden from their universities their incomes from high-pay consulting contracts with leading pharmaceutical companies. The Times reports that Howard Nemeroff, one of the nation’s most influential psychiatrists, earned more than $2.8 million in consulting arrangements with drug makers from 2000 to 2007, but failed to report at least $1.2 million of that income to his university and violated federal research rules. Dr. Nemeroff signed a letter dated July 15, 2004, promising Emory administrators that he would earn less than $10,000 a year from GlaxoSmithKline to comply with federal rules. In fact he earned $170,000 that year from that company — 17 times the figure he had reported. Senator Charles Grassley, Repoublican of Iowa, said that “after questioning about 20 doctors and research institutions, it looks like problems with transparency are everywhere . . . The current system for tracking financial relationships isn’t working.” His report suggests, says the Times, that universities are all but incapable of policing their faculty’s conflicts of interest. It adds that "almost every major medical school and medical society is now reassessing its relationships with drug and device makers." I find this incoherent. If they are really incapable of monitoring the situation, how could any re-assessment of their policies make a difference? It is more likely that universities have been turning a blind eye to gross violations of academic ethics and federal law in order to profit from the lavish contributions of big pharma to so-called medical reasearch -- which is really the marketing program of the industry. No wonder they call medical research the "gold standard".